Hey crafty friends, today I’m sharing a fun card idea for doodlers! If you’re not familiar with the term zentangle, let me explain. It’s the art of doodling, or drawing tiny repetitive patterns within the lines of a bigger image or scene. For those of us who love to doodle, but wouldn’t consider ourselves great artists, there is a stamp set from The Rabbit Hole Designs called Sofishticated. It is full of gorgeous underwater creatures drawn in zentangle fashion. (It has some great sentiments too!) You can use these images as focal points for your own zentangle scenes, like I did. Once the patterns were all filled in, I used Copic markers to color the waves and images. Then I glued the scene onto a blue A2 card base. For the sentiment, I stacked the die cut word, Congrats, several times and added a layer of copper embossing powder on top. I stamped the smaller sentiment onto a strip and embossed it with the same powder, then glued them in place. Accenting details were added with white, gold, and copper gel pens. I try to save anything with a long dry time as the last thing I add to a card, so I’m less likely to smear it. 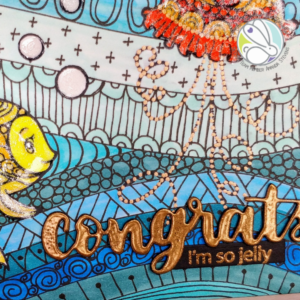 So for my final touch, the fish and bubbles got some extra pizzazz with an Aqua Shimmer pen and a coat of Diamond Glaze (the most challenging of all things to photograph 😉 ). Are you a doodler? Have you tried any zentangle art yet? This card was a ton of fun to create, but I never would have given it a try without the Sofishticated stamp set to get me started. I have several more ideas for different scenes that I can’t wait to try! I hope you’ll give it a try too and let me know what you think. 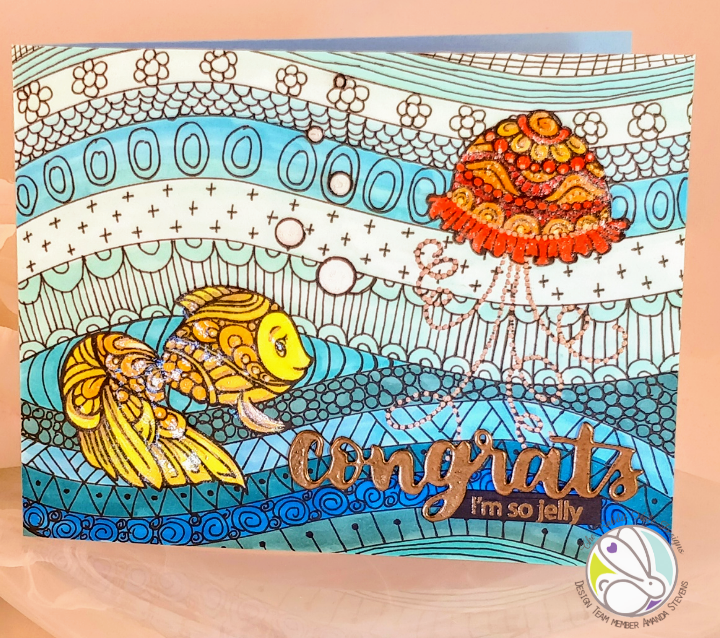 If you’d like to see more cards created with the stamp set I used today, check out the sister post here and search Sofishticated. I’ll be back tomorrow with another fun card and I’ve got some very exciting news to announce this month so make sure you are signed up for my newsletter! Thanks again for swimming by. I’ll SEA you soon! 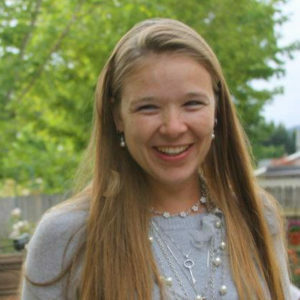 This site uses affiliate links whenever possible, but only for products I actually use and love.